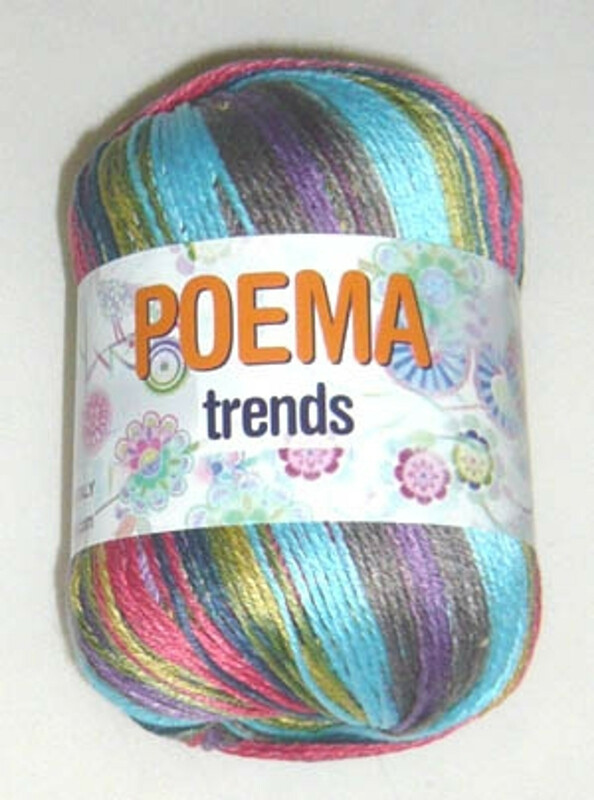 Poema Trends yarn is a beautiful self striping yarn made from 100% cotton. It is perfect for small and large projects alike and is available in subtle striping colours. The yarn is Double Knitting weight (8 ply) and can be used for crochet and knitting projects.